Outrage and widespread resistance greeted the Nigerian government’s attempt to remove fuel subsidy from premium motor spirit (popularly known as petrol) on January 1, 2012. The reason behind the then abrupt subsidy cuts was to block leakages that characterized the administration of subsidies, freeing up important revenue for investment in critical sectors such as health, education, infrastructure, and to create jobs. The fuel subsidy removal policy was partially reversed following the violent protests that erupted in the wake of the reforms. Barely three years down the line, there are dramatic shifts in public opinion regarding the propriety of retaining fuel subsidies. Former British Prime Minister, Tony Blair reechoed this sentiment at a recent meeting in Abuja when he urged Nigeria’s President-elect, General Muhammadu Buhari, to eliminate energy subsidies. So what changed between 2012 and 2015? There are three things to take note of. First, the shifts in public opinion could be attributed to increasing information about the colossal levels of corruption riddling the subsidy administration process. Knowledge has also increased about how energy subsidies benefit low-income households a lot less; impose deep cuts on national budgets; discourage investments in renewable energy development; increase atmospheric greenhouse gas concentrations while increasing countries’ vulnerability to the volatility of energy prices in the international market. Secondly, it is instructive to note that this “growing knowledge” has not yet fully permeated into policy halls and energy reform processes. A lot more work still needs to be done to convince the Nigerian parliament to embrace total cuts in petroleum products consumption subsidy, and codify this commitment in policy instruments. Thirdly, subsidy reforms will be at the front-burner of the incoming government’s policy agenda. What may be different is that while the previous subsidy reforms in 2012 were directly initiated by the government, proposals for total subsidy reform under the incoming government may be externally-triggered. During the 2012 era, the federal government made unsuccessful efforts to get maximum citizen and civil society buy-in for the reforms. But this time around, the obligation to “win both hearts and minds” within and beyond policy circles may shift to the civil society. This role reversal is not going to be an easy task. As we wait with bated breath for the debates around fuel subsidy reforms to resume in earnest, it bears underlining that there are pros and cons to the anti-petro-subsidy policy. Currently leading the chorus opposing the removal of fuel subsidy is the Conference of Nigerian Political Parties (CNPP), arguing that fuel subsidy could as well be a myth. But if it does exist, then one must recognize that “unbridled corruption” is quite distinct from “subsidy administration.” CNPP argues that what needs to be done is to sanitize subsidy expenditures by exterminating corruption so that both the rich and the poor can enjoy the full benefits of energy consumption subsidies. This argument has some merits. 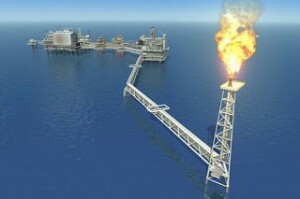 For instance, an estimated N1.32 trillion was spent on subsidies in the ten months to October 2011, which is about four times the amount spent in the entire 2010 without demonstrable corresponding increase in the volume of fuel importation and supply of petroleum products during both periods. Shocking revelations from both the Aig Imokhouede-led task force that probed the subsidy regime unearthed massive discrepancies in official subsidy calculations and disbursement arrangements. A truly independent forensic audit would clearly show the extent of gaps that exist and the actual size of energy subsidies in Nigeria. This is an important first step towards reforming energy subsidies in Nigeria. The second drawback is that developing countries contribute a lot less to atmospheric greenhouse gas concentrations than their developed country counterparts. That many developed countries with high emission records – like US and China – continue to subsidize fossil fuel production further buttresses this point. This means that developing countries bear the brunt of the adverse environmental consequences (traffic congestion, air pollution) of energy subsidies in which they contributed so little to. Arguably therefore, energy subsidies are evidently not a primary course of the negative impact of environmental harm and climate change impacts felt by poor countries. Thirdly, in a country where the World Bank’s 2014 assessment established that over 70% of Nigeria’s 170 million people live in extreme poverty, and depend on $1.25 (N200) or even less per day, subsidies help the poor pay lower prices for energy. Given that renewable energy production is still at its infancy stages in Nigeria, there is really no sustainable alternative to petrol fuels. Even in advanced economies, no other energy source has successfully displaced fossil fuels. Because electricity shortages are rife, low prices significantly expand the access of the poor populations to petro-fuel which is generally used as an alternative source of electricity. The extent to which subsidies benefit the poor and vulnerable groups, especially women, is the focus of a new study being undertaken by Spaces for Change. Not only that, the lack of political will to eliminate subsidies has been the greatest setback to effective subsidy reforms around the globe. Ample evidence shows huge contradictions between the policy and practice of States’ energy subsidy policies. Recently, Guardian found out that despite their humongous profits “the world’s biggest and most profitable fossil fuel companies are receiving huge and rising subsidies from US taxpayers.” For instance, Exxon Mobil’s $41bn profit did not preclude it from benefitting from $119m of state subsidy in Louisiana since 2011. Similarly, despite instituting bold policy and legislative commitments to climate change, US federal subsidies have risen by 45% after President Barack Obama’s 2009 call on the G20 to eliminate fossil fuel subsidies. So, withdrawing fuel subsidy remains an uphill struggle in both developed and developing economies as consumption and production subsidies are pervasive, with coal accounting for the highest receipts. In the Nigerian context, fuel subsidies are unsustainable and the cost will keep growing. Although vehicle importation and registration figures are not properly tracked, Wall Street Journal reports that the Nigeria unit of the Toyota Motor Corp. estimates that 155,000 used cars of all makes were imported into the country in 2008. Compare that to the number of registered vehicles as of 2011, which the Global Health Observatory Data Repository puts at 12, 545, 177. Equally rising with car importation is fuel consumption and of course, a corresponding increase in fuel subsidies! If unrestrained, fuel subsidies will likely outgrow the national revenue intake, making it difficult for the government to efficiently utilize its revenues to develop critical sectors of the economy. As Samuel Diminas of Westpaq Oil Inc rightly observed, fuel subsidy has never been appropriately budgeted for, and is structured in a way that allows corruption to flourish. “Subsidy budgets usually reflect the sums unpaid for from cleared invoices which are carried over from the past year. This approach incentivizes marketers to manipulate subsidy figures especially where they are expected to invoice the federal government 90 days after the fuel has been sold out and consumed in different locations across Nigeria,” Mr. Diminas said. Three years after Nigerians grudgingly submitted to the federal government’s conditions for removing fuel subsidy, government-controlled prices for petroleum products continue to impede the effective implementation of subsidy reforms. Local refineries in Nigeria are either comatose or perform below refining capacity. The practice of adopting uniform benchmark pump prices and reimbursing marketers for their transportation expenses has infamously stifled productivity, making local refining even more unattractive. Removing these price controls and introducing a free market economy are now absolutely imperative for a successful subsidy reform agenda. In addition to that, policies which target systemic and process checks are the appropriate means for achieving transparency and accountability goals in the Nigerian energy sector. The good news is that the falling price of oil in the international market presents a unique opportunity for countries like Nigeria to effect the transition to a total non-subsidy regime more painlessly.